That night, we went on our first date. It was a lot of fun (and accompanied by his sister, Julie, who was visiting from out of town) I wouldn't have changed anything about it. 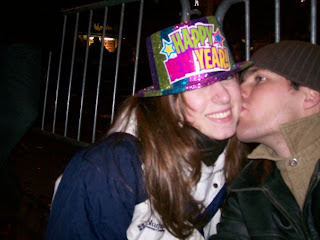 A couple of weeks later, I didn't know exactly what we were so I finally said, "So, are you my boyfriend or what?". To which he replied, "Yes, of course I'm your boyfriend." and that kind of freaked me out a little. I was just so used to being single. Honestly, the transition to calling him "boyfriend" was a lot more difficult than "fiance" or "husband". I know that seems strange, but it is the truth. I was perpetually single and kind of at a point where I was actually liking it, but there was this man who was sweeping me off my feet and, well, I let him. 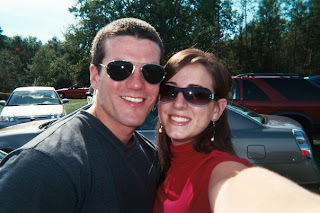 We approached dating differently than a lot of people do, I think. We both were waiting for the person God had for us, so we went into our relationship very open and very honest and with the understanding that if either of us felt like this wasn't what was supposed to be happening in our lives, that we would quickly tell the other. Dancing. 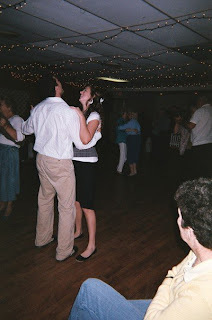 We were the youngest couple there by approximately 40 years. Probably a month or so into our relationship. We both started to feel rather quickly that we were perfect for each other and meant to get married. Except for the fact that a huge desire on his heart was to be a missionary. 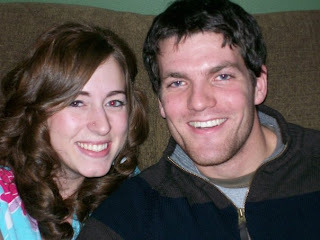 (Josh spent the year before we met in Azerbaijan as a missionary) I had never really considered that one before. We talked (and talked and talked) and prayed (and prayed and prayed) about whether or not we were supposed to be together. Whether or not I could actually be a missionary, and whether or not Josh could not be a missionary. Eventually, our plans and dreams came into line (that's an entire separate blog) but I must tell you that missions is definitely in our (3 year plan) future. Riding in the back of a truck after a canoe trip! Eventually, we started talking seriously about marriage. We went and looked at rings once (or twice) but only on his suggestion. One day in early May, we went shopping and I found a fabulous pink dress. Oh how I loved this pink dress! I ended up buying it that day and as I checked out he said, "Who knows... maybe this is what you'll be wearing when you get proposed to...."